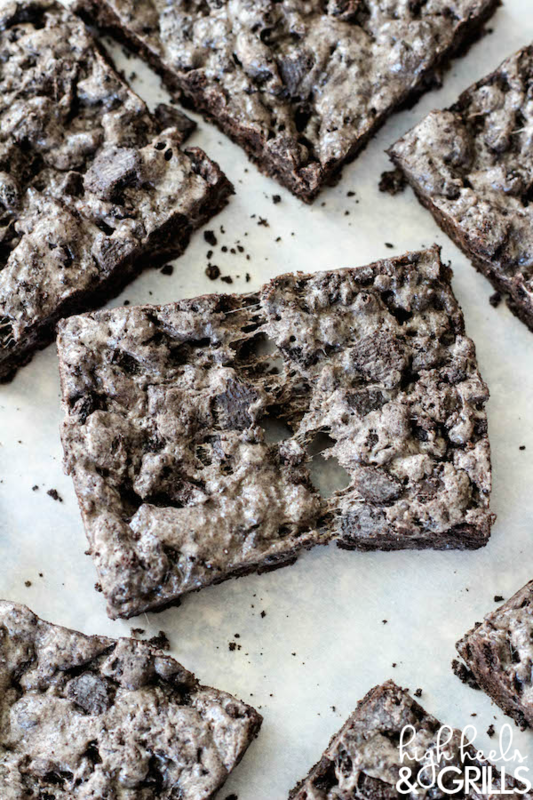 These Oreo Krispie Treats are a fun twist on traditional rice krispie treats! 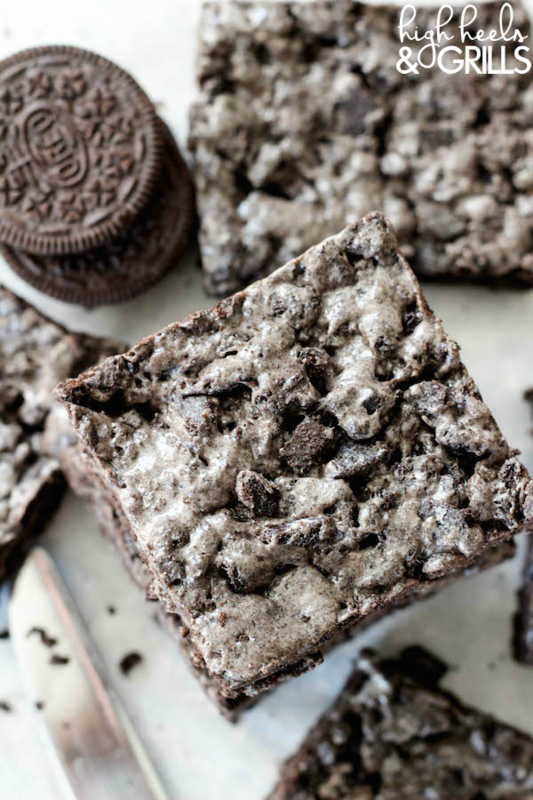 Instead of using Rice Krispie Cereal, the base is made from chunky Oreos crumbs. Toss those in with some butter and marshmallows and they taste like a dream! After a 2 week hiatus from our travels to Mexico and now Utah, I think it’s about time I share a recipe or something. You missed me, right?? I’d like to say that I felt the same, but umm – Mexico. I can’t even tell you how amazing that trip was. I’ll post more on it later, but let’s just say that it was the most blissful vacation I’ve ever been on. End of story. But, that’s not why you’re here. 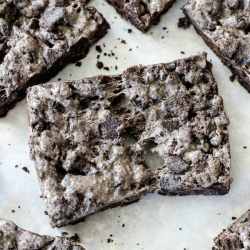 You want the recipe for these awesome Oreo Krispie Treats. It’s like I know you and I haven’t even met you. 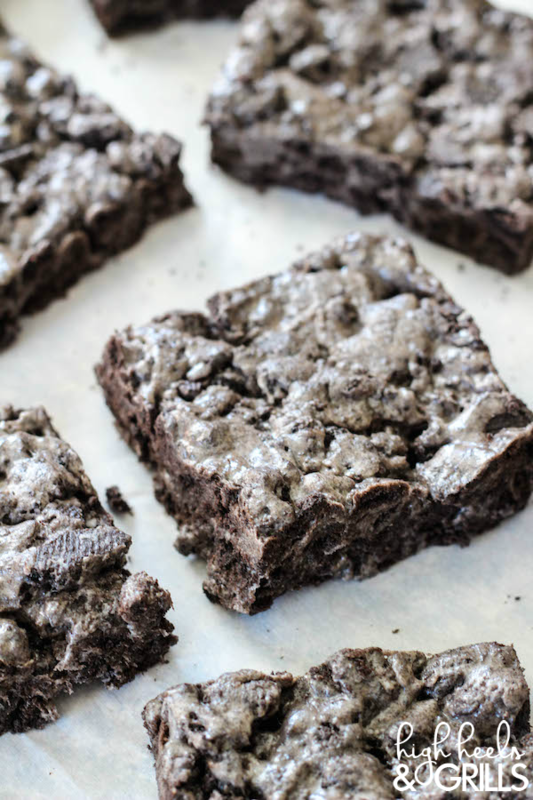 I don’t blame you for wanting the recipe for these. The idea for them came to me in church actually. Ha! I oversee some of the young women in my church and one of the other leaders gave an awesome object lesson one Sunday. It included a handful of treats – gummy bears, rice krispie treats, and Oreos. At the end of the lesson, we got to eat all of the goodies and the rice krispie treat/Oreo combo was to die for. Then I thought of combining the two and the rest is history! Of course, it’s not a true combination, I guess. Instead of using rice krispie cereal at all, I just used Oreos. And I must say that they taste even better than with the cereal! I think it’s important not to finely crush the Oreos. Make them a little chunky. Like this ↓. 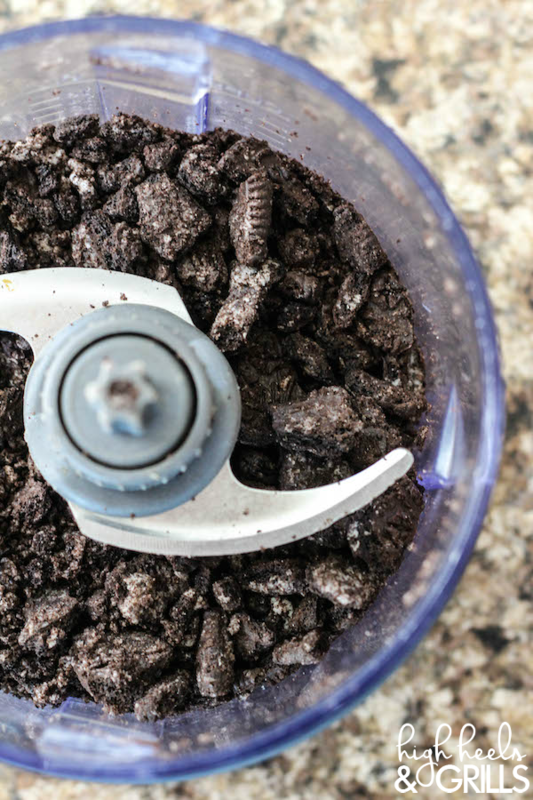 If you like Oreos at all, these will be your new best friend.